Enterprises of the group of companies “UkrAgroCom” process 75 000 ha of arable land in Oleksandriiskyi, Petrivskyi, Znamianskyi, Svitlovodskyi and Novoukrainskyi districts of Kirovohradska region as well as Piatyhatskyi district of Dnipropetrivska region. The group specializes in growing wheat, barley, maize, sunflower, canola, peas, sugar beets and other cultures. The company’s strategy is aimed at efficient use of arable land considering climatic specialties of the area and crops, with special emphasis on the quality of cultivation and soil enrichment. UkrAgroCom’s agronomy service strictly adheres to the developed crop rotation and selection of optimal varieties of crops for each farm corporation. From year to year the use of highly productive equipment by John Deere, Case, Claas, Ropa and other, in conjunction with advanced farming technologies, allow to get high yields far exceeding average indicators in the country. Table showing the yield for each crop compared with regional figures (in particular, in 2012 the winter wheat yield accounted for 44,41 c/ha – which is more than 1.5 times more that the yield in the region; barley – 27,63 c/ha (19,2 c/ha in the region), corn – 46,60 c/ha (35,1 c/ha in the region), sunflower 24,2 c/ha (18,3 c/ha in the region). 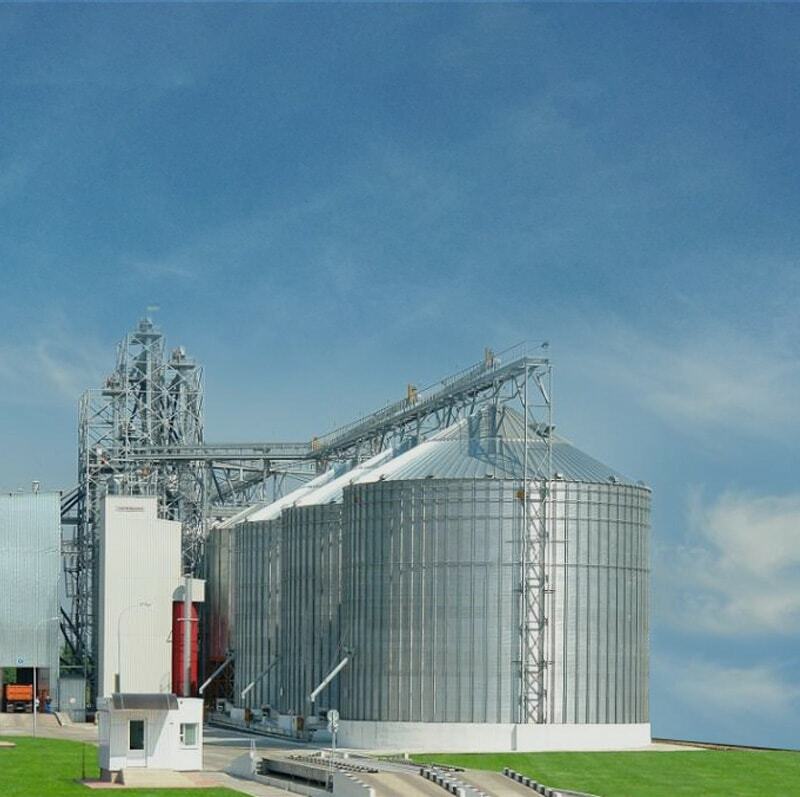 Elevator infrastructure of the group of companies “UkrAgroCom” and “Hermes-Trading”, totaling 353 thousand tons, provides quality self-storage of grain crops and farmers in the region. At the moment the group is also practicing an additional use of the technology of grain storage in a hermetically sealed flexible plastic sleeves. Special attention in the company’s farming goes to sugar beet: about 40% of the overall grown amount of this culture is contributed by the fields of UkrAgroCom. This provides the Oleksandriiskyi sugar plant with 85-90% of work – an important component of the group. An integral part of agriculture is to ensure that the needs of livestock feed are covered with its own production. A broad geography of the group of companies “UkrAgroCom” helps maximizing the efficiency of the use of technical potential, since even a slight difference in temperature and soil allows to start works in Petrovskyi district earlier than in Novoukrainskyi district. Constantly evolving and moving forward the group of companies “UkrAgroCom” and “Hermes-Trading” integrates the experience of the world’s farmers, studying the developments of domestic researchers, examines the climatic and soil factors in the region, as well as developing and implementing, rational from the standpoint of efficiency and economy, crop growing technologies. vil. Holovkivka, 1 Soborna Str.